We’re thrilled to be enjoying yet another successful week in our PE faculty thanks to our talented Year 7 and 8 rugby teams. 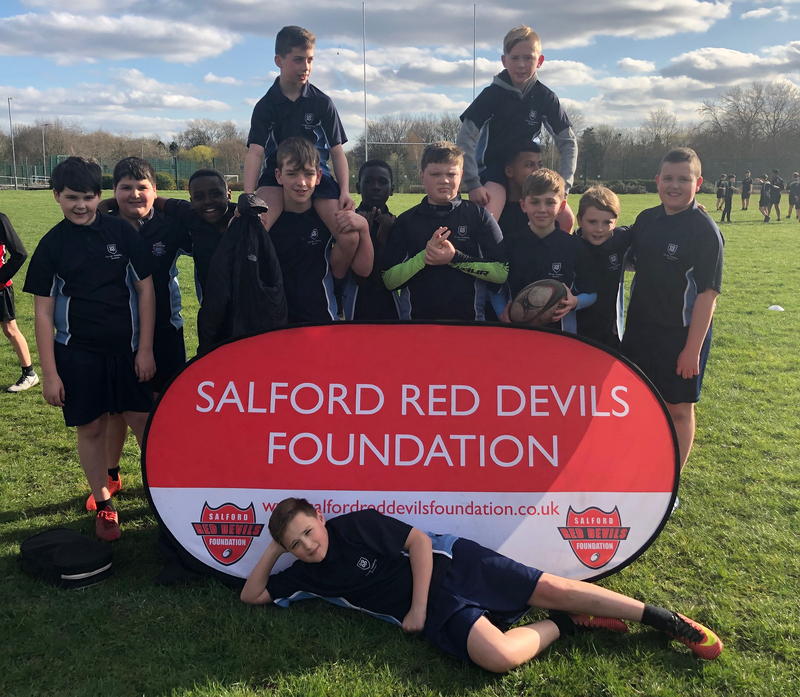 Well done to our Year 8 Rugby team who played valiantly throughout the Salford Rugby League 9-a-side competition. Congratulations also to our Year 7 Rugby team who have defeated both Buille Hill and Irlam Cadishead in their opening games of the season. This team show a great deal of promise with their positive attitude, grit, comradery and skill level.